Being in the Special Forces means you will be taken all over the world for some of the most difficult missions, often to unfriendly places and dangerous regions. Elite soldiers must be trained to survive anywhere, whether in the endless deserts of Africa or the freezing tundra of the Arctic. Soldiers need to know how to survive for weeks or even months at a time. They must also know how to survive with as few supplies as possible; after all, in the wilderness, you can't drop by the store to resupply! 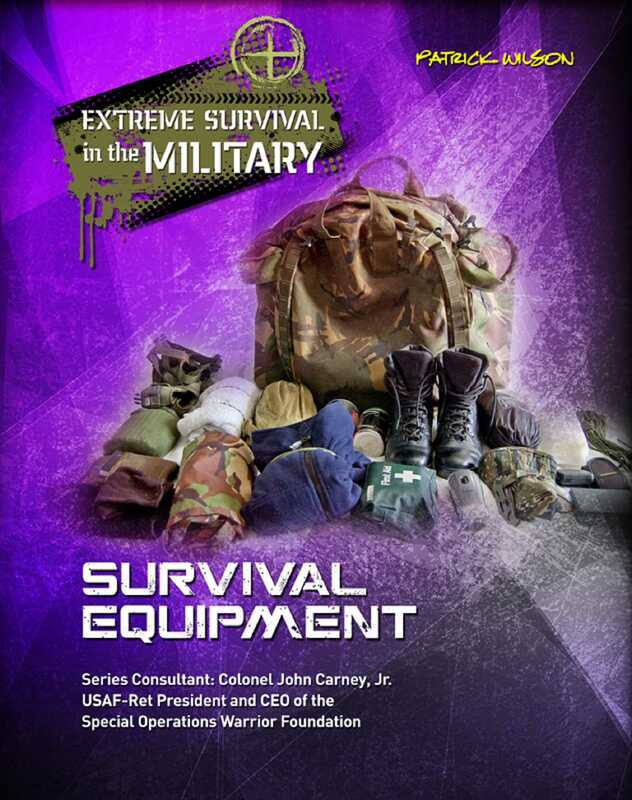 Find out what equipment elite soldiers need to have with them to survive. Discover how to improvise equipment using only the natural resources around you. Learn: • what clothing to wear in hot and cold climates. • what equipment to carry. • what a survival tin is and what's inside it. • how to make your own tools and clothing. • how to survive hostile terrains.